A staff is made up of five horizontal lines and four spaces. alphabet (A B C D E F G). left side of the staves (plural staffs). Ledger Lines are an extension of the staff. They are additional lines both above and below which are parallel to the staff. 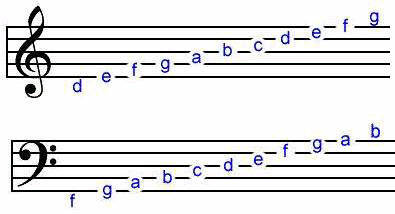 Each ledger line contains one note.